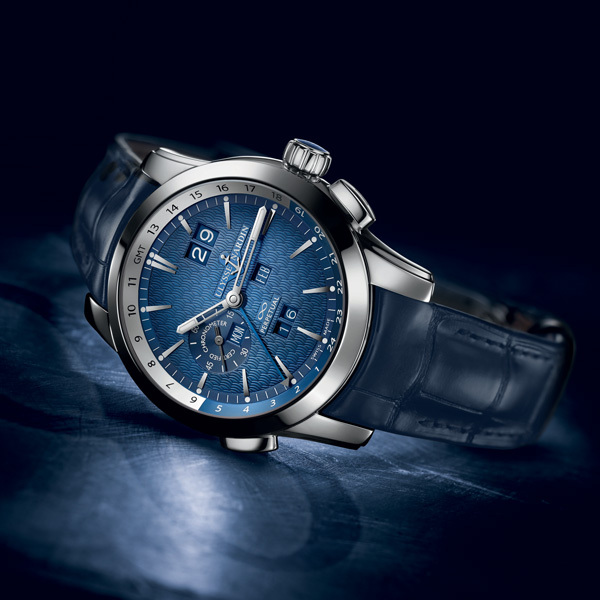 Ulysse Nardin surprised the world with the Perpetual Calendar two decades ago. Since, the iconic original and its ensuing editions have become collectors’ favorites. The Ulysse Nardin GMT+ Perpetual was another revolutionary first for the manufacture, and to this day, remains the first perpetual calendar to allow forwards and backwards adjustment over one single crown. 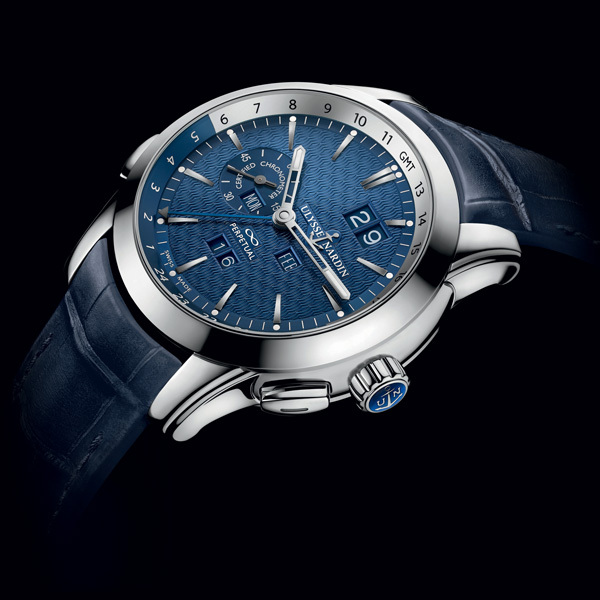 Now, Ulysse Nardin introduces the Perpetual timepiece exclusively for its mono-brand boutiques. 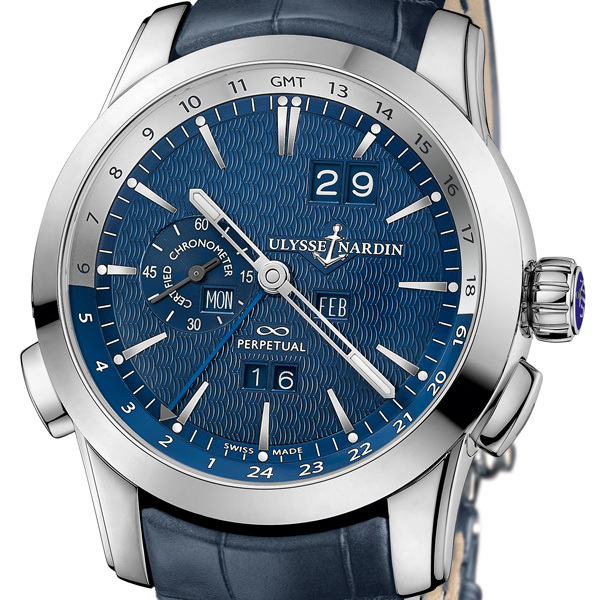 Featuring an elegant blue dial, and armed with the UN-32 caliber, it is one of Ulysse Nardin’s most attractive watches, as well as advanced perpetual calendars ever made. Winding Self-winding chronometer movement with official rating certificate (C.O.S.C). Functions Perpetual Calendar adjustable over single crown. 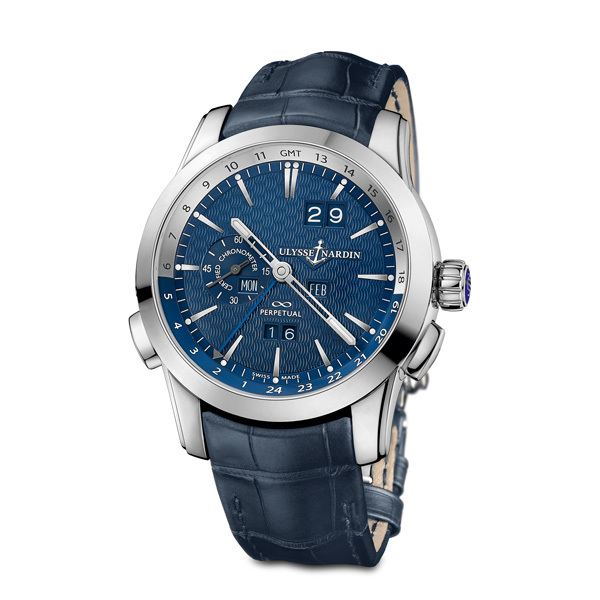 Second time zone on main dial with a patented quick setting mechanism. Permanent home time indicated by 3rd hand. Big date in double window.